In this lesson, we will learn how to multiply by zero and 1. What do you get when you multiply a number by 1? What is the product of any number and zero? 4 × 1 = . 1 × 1 6 = . 7 × 0 = . 0 × 2 2 = . 3 6 × = 0 . × 1 9 = 0 . When we multiply, we can think about equal groups of dots. How many dots would there be if you drew 0 groups with 8 dots in each group? Find the missing number: 0 × 8 = . When we multiply, we can think about counting equal groups of objects. How many balls would you have if you had 3 boxes with 0 balls in each box? 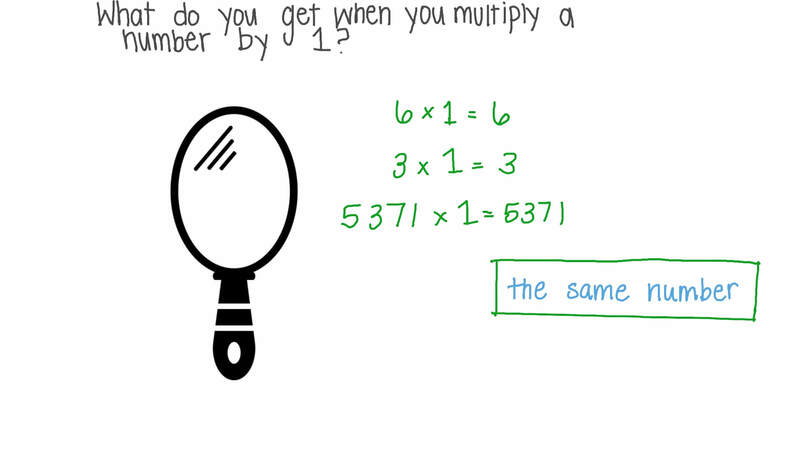 Look at the example to see how we can write a multiplication sentence from an equal groups model. Write a multiplication equation to describe the total number of the animals.